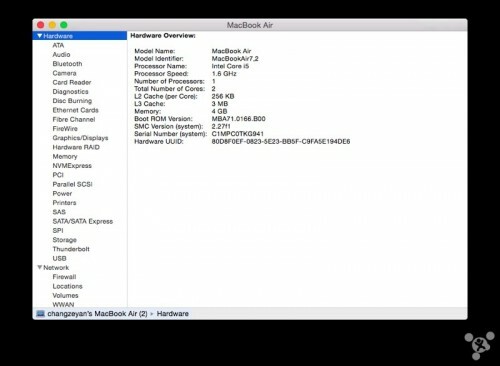 Immediately after the official announcement of the long-anticipated 12-inch Retina MacBook at the “Spring Forward” media event on Monday, first hands-on videos began to appear on the Internet showing how the new laptop looks and feels. Among all the clips I would like to point out the one published by TechnoBuffalo reporters as the one, which is the best in terms of length and the amount of information about the device it offers. You may take a look at this video below. As you probably know, at the media event scheduled for March 9th, we may see the long-awaited Apple Watch as well as the redesigned 12-inch MacBook Air and the updated 11-inch and 13-inch MacBook Air models. While we don’t have any substantial evidence concerning the 12-inch laptop, there are some things that point to the refresh of the existing MacBook Air lineup. With growing popularity of smart devices, like smartphones and tablets, most users demand wireless and mobile features from audio systems. That is why most modern speakers support bluetooth connectivity. 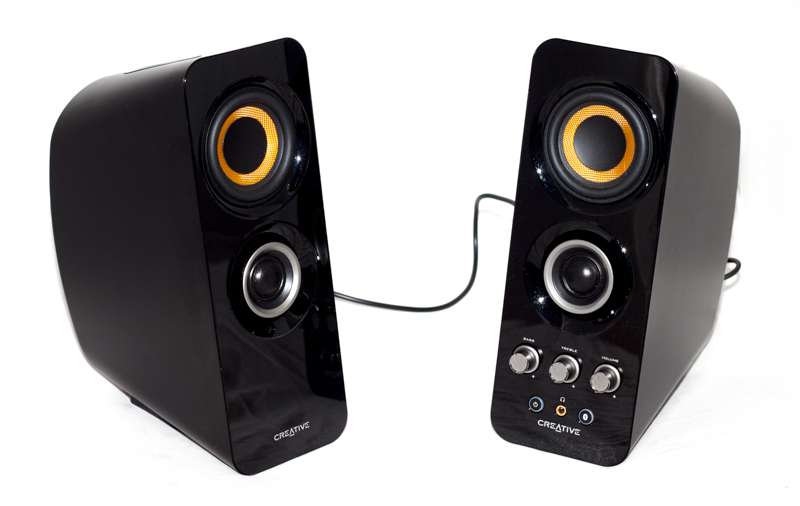 Bluetooth helped us to get rid of audio cables. But what about power cords? 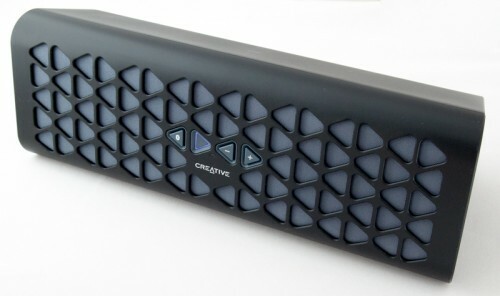 Today we will take a look at Creative MUVO 20 - portable mobile wireless speaker with internal battery. 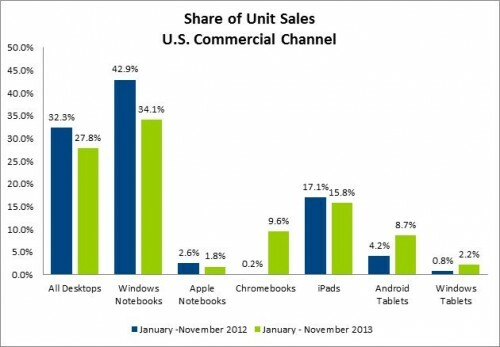 MacBook has New Rival - Chromebook? According to the latest research, Apple’s iPad remains the most popular tablet in the USA. 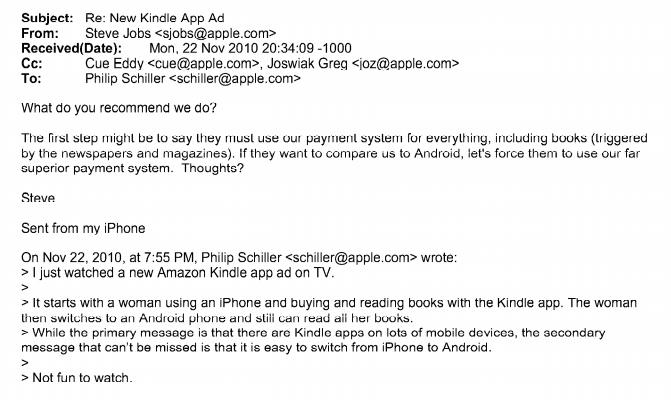 However, if to speak about laptops, things aren’t looking so good for the company from Cupertino. Take a look at the chart below. New Retina MacBook Pro seems to be quite a faulty device. 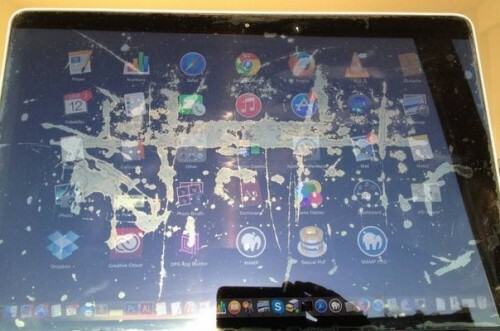 Although it is equipped with Intel’s latest Haswell processor, Iris graphics and fast SSD, numerous users report about issues connected with laptop’s keyboard and trackpad, caused probably because of a conflict between OS X Mavericks and the hardware. Sharp will start production of IGZO displays for smartphones at its Kameyama Plant Number 2 by the end of this year. 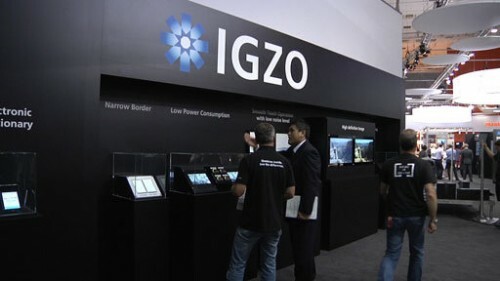 This means that the next generation iPhone as well as the iPad and iPad mini may get a new and a lot better screen - especially since Sharp says it will continue working on IGZO technology in order to use it in production of displays for tablets, notebooks and other portable devices. According to some French sources, Apple will unveil the updated MacBook Pros in a week and a half. Moreover, the long-expected Mac Pro is also said to be launched soon - mid November. 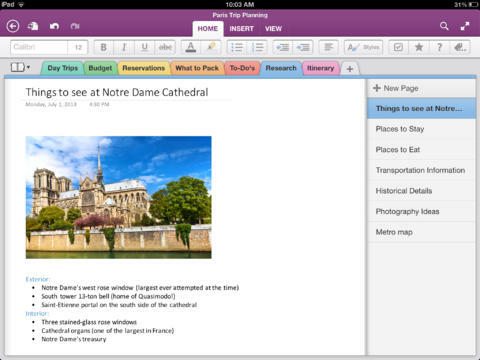 According to Ming-Chi Kuo of KGI Securities, Apple’s planning to release a bunch of redesigned products in 2014. Analyst’s predictions seem plausible since Tim Cook has earlier promised that 2014 will become “a major product year” for the company from Cupertino. 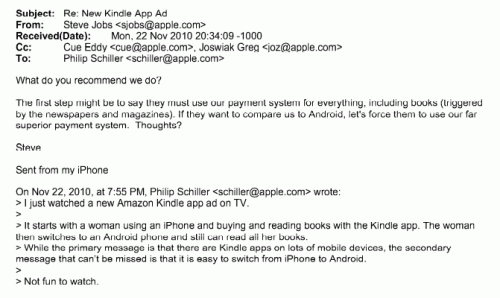 But what exactly should we expect from Apple? 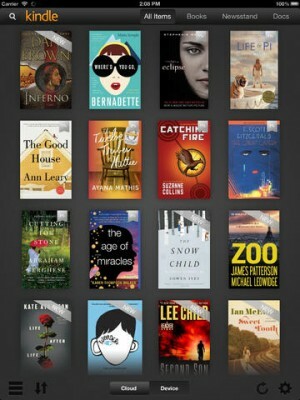 AMZN Mobile LLC has released a ‘pre-iOS 7’ update for Kindle app recently. It fixes some compatibility issues that can prevent you from upgrading to the Apple’s seventh mobile operating system, so if you enjoy reading books and plan to continue doing this - you should install the version 3.9.2 on your iPhone or iPad. 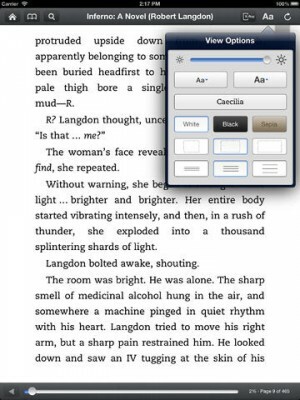 This is a fix for a Kindle issue with the upcoming iOS 7. 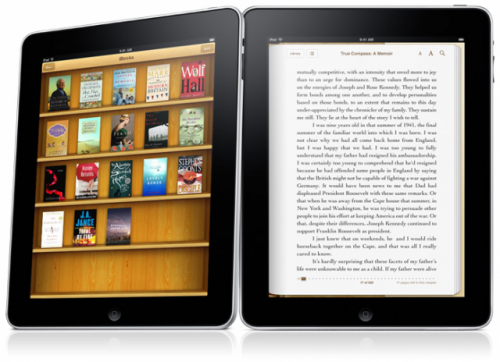 OS upgrade that may cause customers to have to re-register and re-download books from Amazon. Please download and install - this is a required update before upgrading to iOS 7. Kindle app for iOS is compatible with iPhone, iPod touch and iPad and requires iOS 5.0 or later. One can download the app for free from the App Store right now.